The timber industry and its effect on the environment is an important issue in the United States and throughout the world. The common belief for the last several decades has been that the industry is depleting the world’s forests, but that is simply not true. Our suppliers are largely committed to sustain-yield management. The dominant principle of sustain-yield management is to harvest no more wood than the forest can re-grow. In short, this means we are living on the “wood interest” from our forests, not the “wood capital”. Domestically, replanting far exceeds harvesting. In fact, we have 82 percent more timbers in the U.S. today than we had in 1952. 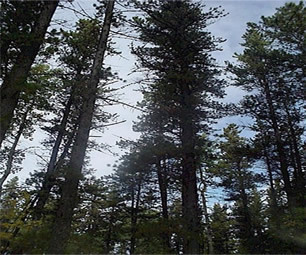 In addition, science and agricultural advances have taught us how to harvest and manage forests in such a way that the forest and its new growth are actually stimulated. When it comes to exotic species, Musolf’s only imports from reputable, standards-practicing manufacturers. Over the years we’ve developed strong, reliable relationships with manufacturers with very high standards-and only from nations with governed restrictions and harvesting laws. We’re proud to help support a sustainable industry here and around the world-an industry that provides employment for millions of families. 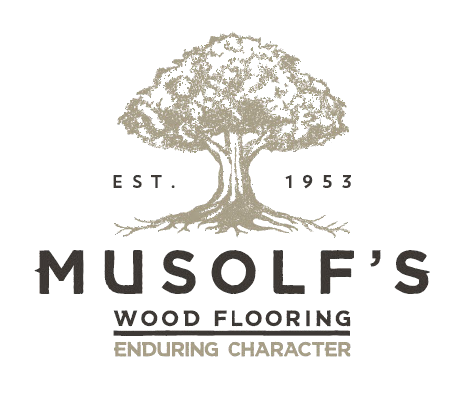 You can rely on Musolf’s to carry a wide array of green products to fit many different project types. Consider reclaimed hardwoods from heat cured tobacco barns, decade old industrial buildings, or even from old establishments in Indonesia during the spice trade. We also boast products from fast growing avenues that re-generate rather quickly. Finally, there’s virtually no bi-product from manufacturing wood flooring, other than the scraps and sawdust that are then used to make other useful materials. All things considered, wood could be described as today’s smartest and most responsible resource available for building our homes and offices. Wood is strong, beautiful, abundant and renewable: nature’s continually offered gift. Musolf’s Wood Flooring proudly contributes to the Arbor Day Foundation. With every Lon’s Own prefinished floor purchased we donate to plant a tree. Trees planted on behalf of your flooring purchase will contribute to forests in Minnesota or Wisconsin as projects permit. We have also planted in other areas in the United States that have been in dire need of re-forestation.